I love cooking just as much as I enjoy eating, so I have no problem cooking while traveling. When I was in Barcelona and needed to find fresh ingredients I knew just where to go. La Boqueria is definitely one of the world’s greatest markets. Its location is just off the La Rambla and it’s a must-visit for locals and tourists alike. Every isle is packed with tourists but the colors and smells you take in make up for all the traffic. You can find just about anything in this market. From fresh fruits and vegetables to seafood, the ever-famous Spanish ham, cheeses, caviar, and many other goodies. 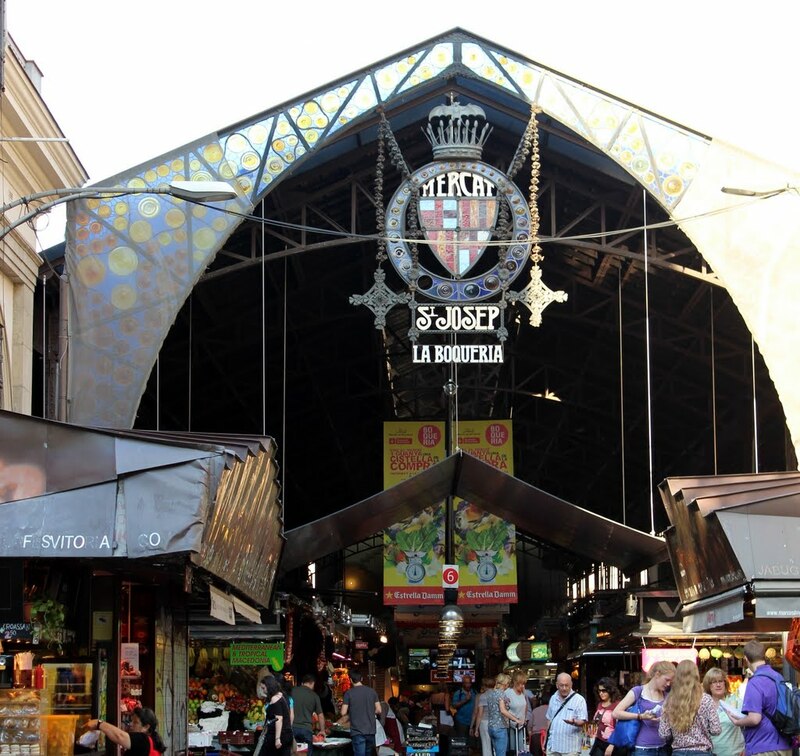 History records of La Boqueria market can be found as early as 1217. Since 1470 this area was occupied by a pig market and it was then known as “Mercat Bornet”. In 1826 the market was officially recognized and the government decided to build on official structure. In 1840 it was inaugurated and named after the Joseph, the patron saint of the workers. 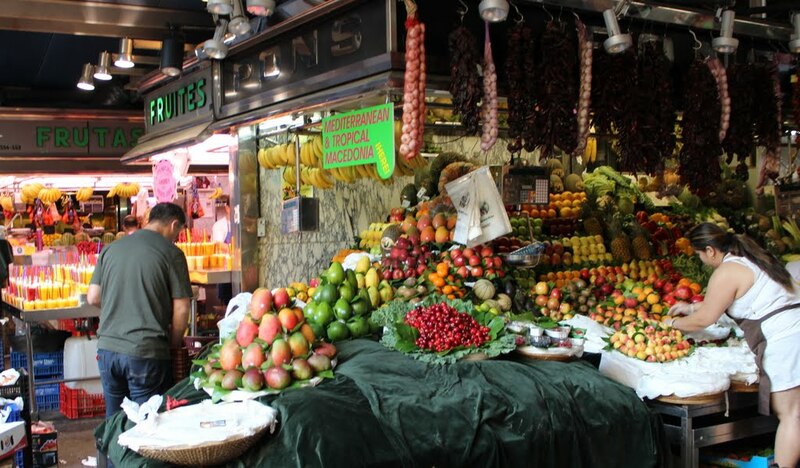 La Boqueria is a standout attraction. 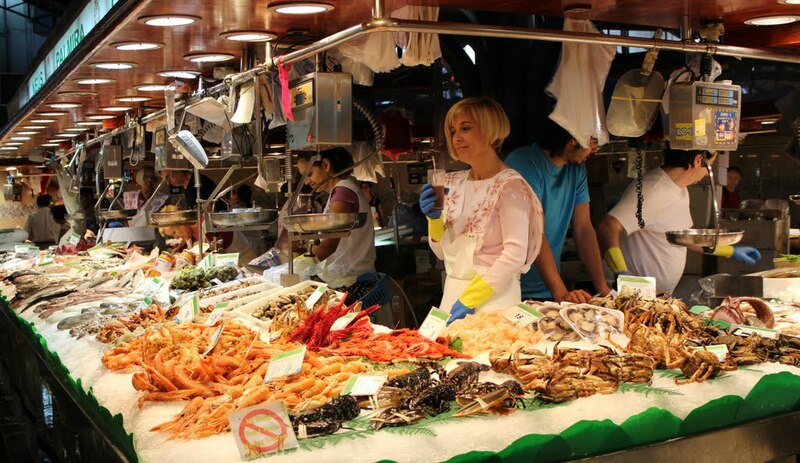 This market is central spot for all the food lovers visiting Barcelona. Many of the restaurants you find in Barcelona get their ingredients from here. 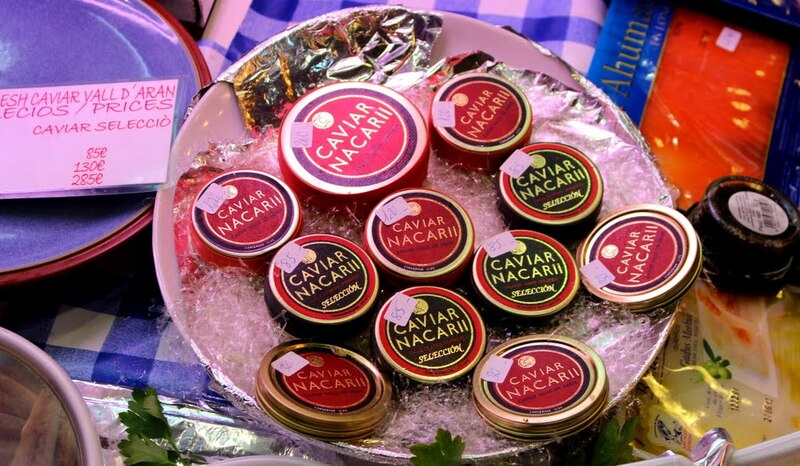 Seafood lovers will find fresh osetra caviar.